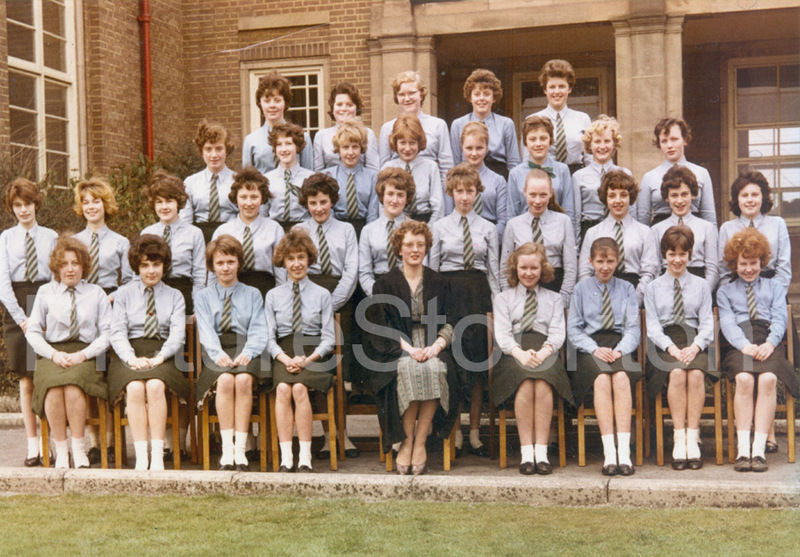 Class at Grangefield Grammar School c1961. Who do you recognise? Just found this page. I am Lesley Holmes, shown in the photo. I remember so many of my class mates: Jean Hart, Rosemary Applegarth, Janet Roberts, Christine Watt etc etc. why did we all lose touch? Does anyone know where Jean Hart is? I’m still in Stockton, recently bereaved, and would so like to hear from anyone who remembers me and would like to meet up for a coffee and a walk down the Grangefield memory lane. I would love to get in touch with my cousin Maureen Glencross. We lost contact many many years ago. Hi Ann, your cousin Maureen, and my sister Pat Armstrong, were best friends in school. We moved to Australia in 1963, and my sister lost touch with Maureen. After many years, Pat asked me, if I could help track down some of her school friends, and I initially made contact with a Cliff and Irene Thornton, and with their help we managed to track down many of my sisters friends. Maureen was one of those friends. Her married name is Drought, and she lives in Ripon, in Yorkshire. I have her e-mail address, which I can’t put on this site, but if you e-mail the Picture Stockton crew, and ask for my e-mail address I’m sure they will pass it on. John Armstrong. Perth Western Australia. Does anyone remember a Juliet Woods … attended until 1960 for sure … not certain which class she was in. I think Miss Millburn was the head at the time. The teacher was Mrs Lomas. My 1962 school magazine says she taught Latin and Scripture. I have 3 black and white year photos and this one in colour so it must have been our 4th year. Class 4A from Sept 1962/1963. Another name to fit to a face-Noeline Hodgson. Was Elizabeth Hunter in this photo? Other names e.g. Christine Hindmarsh, Eileen Nugent – come back but it’s putting them with the right faces! Lesley Holmes is correct too. I’ll search and see if I can find a year and the teacher’s name. Lovely to see this photo. I have one too! After so many years my memory will need correcting and jogging but these are the names I think I remember. Hi Patricia … do you know if there’s a Juliet Wood in this picture? Or do you remember the name at all? Third row back and 4th right looks very much like Lesley Holmes who used to live in Oakwell Road, Norton. How are you doing? You are right, it is me in the photo and I did live in Oakwell Road… What a good memory you have! Hope all us well with you. What class year is this? I recognise lots of faces and can put names to some. Apologies to those I can’t quite remember. Maureen, Pat, Janet, Me (Irene) Maggie, Chris, Jacky, Katy, Sue, Jean, Val, Glenys, LIz and Miranda. What was the teacher called?